I know that Niva’s betrayal was mostly expected, but it still seemed like the most random thing. Also, wasn’t killing Gaz a little bit too easy as well? I’m inclined to believe that he’s still alive or has some other way to resurrect given an ending like this. I can’t be the only one that felt like this ending was weak, right? I mean, Frederica being taken out right at the beginning of the battle against Gaz was pretty good material, but otherwise it seemed really awkward. And what should we make of the final scenes? Chaika is confirmed to be alive, but not much of her state is explained. 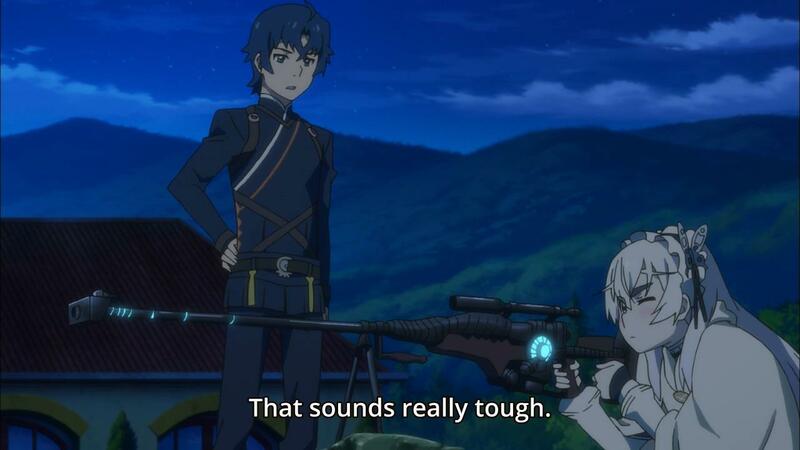 Niva mentions memory consumption when the final blast was fired, so how much does Chaika actually remember? Is she just a shell that Tooru is trying to restore? Or is there enough of her left for this to be considered a true ending (with no hope of sequels)? Hitsugi no Chaika S2 Episode 9: The true culprit appears! To be fair, given the fact that everyone was gathering remains of Emperor Gaz, I don’t think his resurrection was too unexpected. I actually feel like the anticipation has made me numb to it. I guess I’m more curious about what Guy really is. I assume he’s some elaborate spell, but he also seemed to contribute his body to the rebirth…does that mean he was some sort of secondary embodiment of the Chaika spell? Anyway, next week is the final battle. I’m not looking forward to having my first empty slot in my schedule, but what can I do? Given that Frederica is currently out of commission, I assume she will arrive for some last-minute save to end the fight. Normally, I’d guess that she’d be absent for the whole fight to continue her suffering, but the preview mentions her by name, so she has to show up. Who will be sacrificed to defeat Gaz? 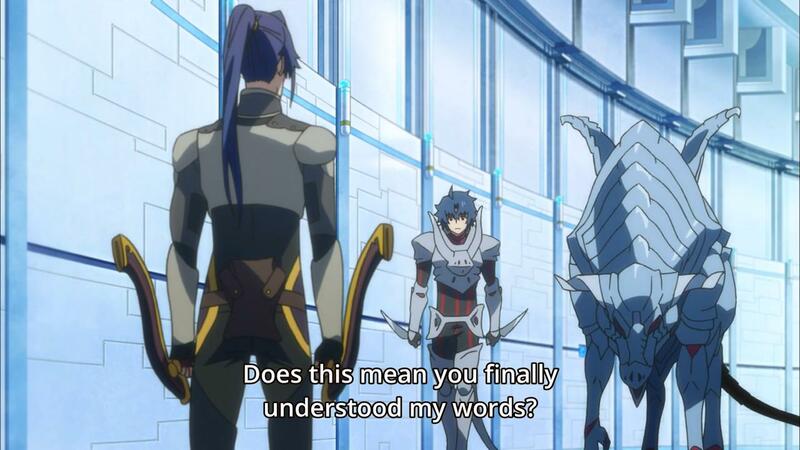 Author marthaurionPosted on December 4, 2014 Categories Hitsugi no ChaikaTags coffin princess, shocking truthLeave a comment on Hitsugi no Chaika S2 Episode 9: The true culprit appears! Well, it looks like Gillette finally regained his memory (through the power of friendship! )…though it might have cost him a hand. We also get to see the rematch between the Red and White Chaikas. That aside, I’m really surprised at the number of Chaikas that Black Chaika has been using throughout these episodes…is she really the final boss in charge of creating the Chaikas? So are all the remains going to be brought together next week? Will we finally understand what the true intention of gathering them is? The preview really is trying to stress how much the Black Chaika thinks she’s in control of everything…usually that means that there’s some shocking truth next week that her mind has also been manipulated by Gaz’s plan. All this talk about Gaz’s plan also worries me…hopefully it’s not some elaborate plan that’s actually aimed at world peace. Isn’t that kinda lame? 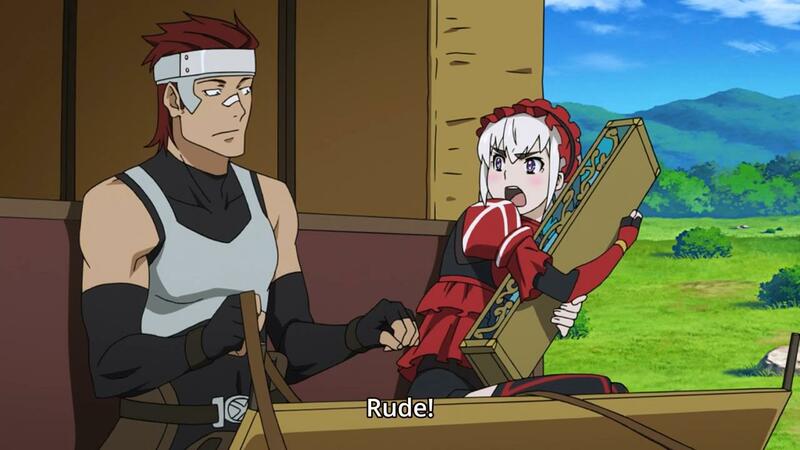 I’m curious why only the Red Chaika has been captured so far. Was she further ahead in the tournament or was she just easy to capture at that point because she arrived at the checkpoint alone? I’m assuming since the preview makes it sound like White Chaika is spending all of next episode looking behind her back that she will be the last to be captured. Either way, it feels like the showing is building up to a final battle…maybe there will be a resolution this time. It looks like Guy is finally confirming my suspicions about him…lurking around all shifty and whatnot. Not sure what he meant about Gillette’s eyes and saving him, though…must just be another part of his grand plan. But is it his plan or the emperor’s plan? Also, in the flashback to Gillette’s “death”, two Guys are shown saving him…what’s up with that? Next week is the confrontation against King Hartgen and his black Chaikas? Does that mean that Gillette will finally reveal himself? Presumably, everyone will have to face each other in this tournament that is being held by the king. I guess it might be interesting to see some of these groups fight each other again…if that even happens. Hitsugi no Chaika S2 Episode 5: Another transforming character! I expected Niva to end up being the emperor’s fortune, but it sounds like the fortune is still in play based on the preview. What exactly is this fortune? Is it another tool designed for the Chaikas? Or is it some darker hidden secret? The preview also makes it look like Vivi and Gillette will be doing a lot next week…will they reunite? It certainly doesn’t feel like they should yet. 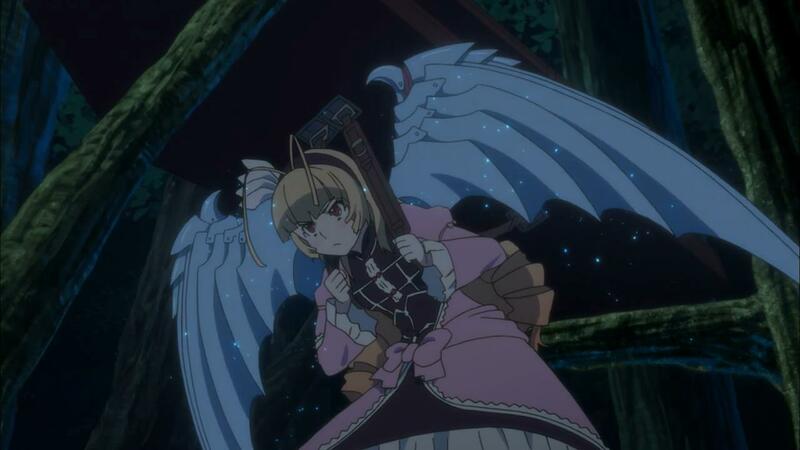 Author marthaurionPosted on November 6, 2014 Categories Hitsugi no ChaikaTags coffin princess4 Comments on Hitsugi no Chaika S2 Episode 5: Another transforming character! Hitsugi no Chaika S2 Episode 4: Shocking truth! So we finally find out who the Chaikas really are…girls who had their memories altered to believe they were Chaika so that they could be used as tools of Gaz. It makes sense considering Vivi’s transformation at the end of the last season. This reveal wasn’t as interesting as I thought it would be…we still don’t really know what the purpose of collecting the remains really is. Author marthaurionPosted on October 30, 2014 Categories Hitsugi no ChaikaTags coffin princess2 Comments on Hitsugi no Chaika S2 Episode 4: Shocking truth! I guess this is as close as you get to the obligatory beach episode. As hinted last week, the Red Chaika team returns to the story. Also, Gillette makes his first reappearance (no one saw that coming). The hero from this week ends up being the most cowardly of the group…hardly even worth spending time on him, I would say. But it looks like the main focus will be island with this mysterious “fortune” after all. I’m getting really curious about the secret of this island. 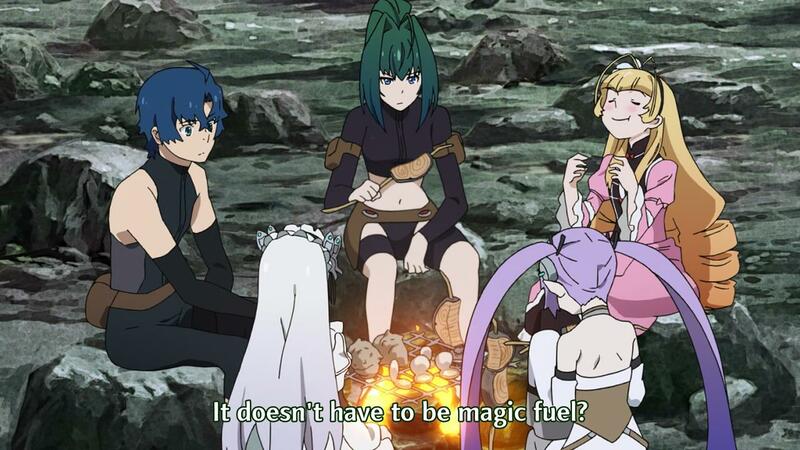 Fredrica mentions that the dragoons attacking Chaika were not really dragoons, suggesting that they are probably either illusions or fakes created by magic. 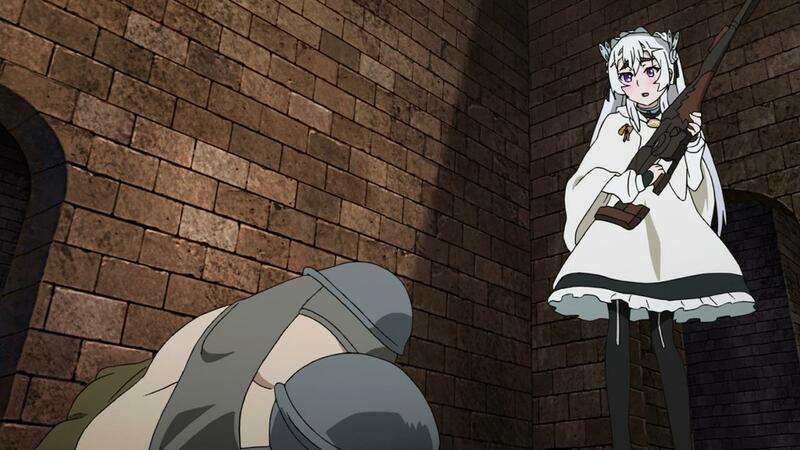 There’s the slight possibility that they are impostors similar to how Chaika is an impostor of the “dead” Chaika. Hints at the true nature of the Chaikas, maybe? Hopefully we find out more next week. Well, it doesn’t look like Chaika got too much of a level up from that fight…other than skillful distractions with a cat. Frederica’s honestly the hero of that fight despite the fact that she had no lines this week. Besides that, we learn about some sort of mysterious fortune left behind by the former emperor…is that really meant as “wealth”, or is it supposed to mean something like a “will”? Or maybe it’s a fortune like the ones Vivi flash-backed to this week with her and Gilette? Either way, I don’t trust that term, so it’s hard to predict what’s to come. Next week, it looks like the main group will be sidetracked from the island with the fortune temporarily by another hero. The two girls in white from the preview certainly are interesting…they could be twins. 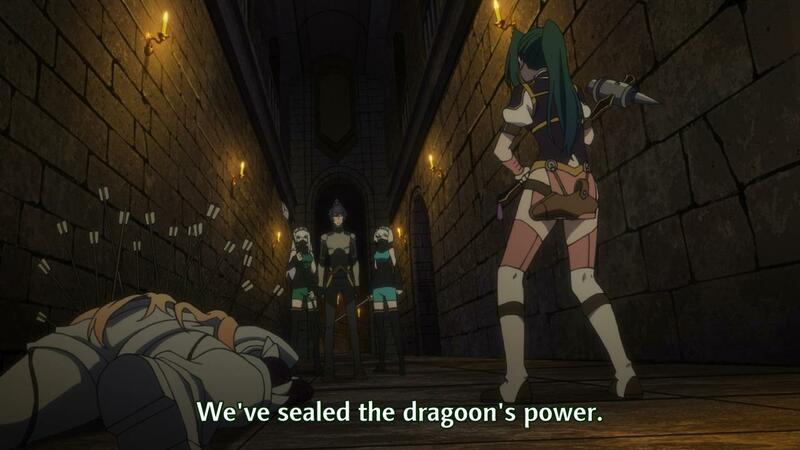 Or maybe they’re meant to suggest something about Chaika’s true nature. Wouldn’t that be interesting? This season is supposedly shorter than the previous one, so I assume they’d have to move faster when it comes to story events. Hitsugi no Chaika S2 Episode 1: Time for Chaika to step it up? 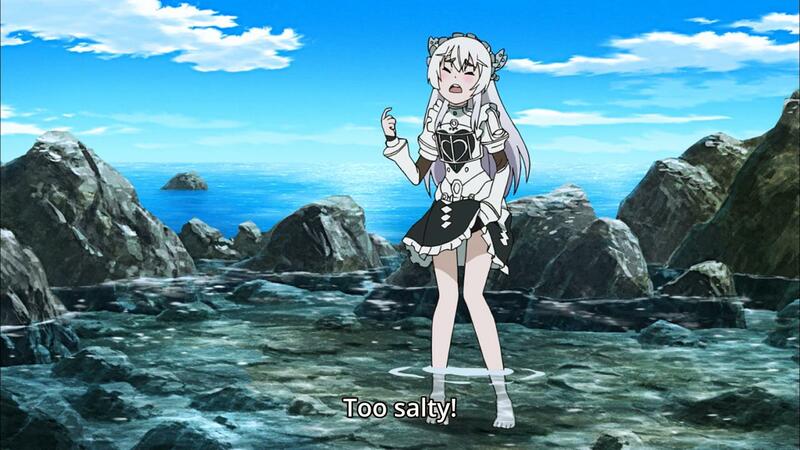 This show pretty much picked up where it left off with our main Chaika group gathering remains. So many Chaikas to keep in mind these days. Anyway, it’s not too surprising considering it looks like there might be only 10 episodes. On the other side of things, Gilette is most likely alive given how much time spending on him. I’m not too sure how I feel about Vivi…I just can’t see her story being too interesting from here. The new opening song is not bad…not much more to say about it. The vocals on the new ending song are lackluster, but musically it sounds alright. Next week presumably nets a new piece of the emperor for the main group. It also looks like the return of another Chaika group we saw last season. I assume the main Chaika will also level up in the battle somehow give how much she was bemoaning her own weakness this week. She needs to learn how to “blah blah blah Tidal Wave” if you catch my reference. Author marthaurionPosted on October 9, 2014 Categories Hitsugi no ChaikaTags avenging battle, coffin princess2 Comments on Hitsugi no Chaika S2 Episode 1: Time for Chaika to step it up?